EQUIPMENT TAGGED OUT. DO NOT REMOVE THIS TAG SEE OTHER SIDE. 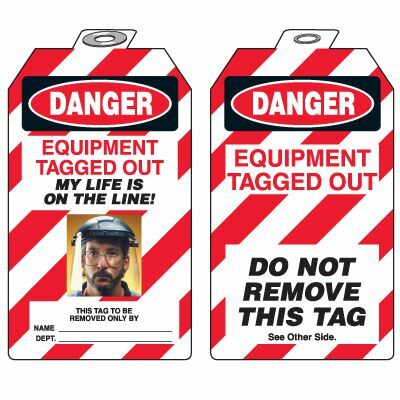 EQUIPMENT TAGGED OUT MY LIFE IS ON THE LINE! *PHOTO HERE* THIS TAG TO BE REMOVED ONLY BY. NAME_____. DEPT._____.